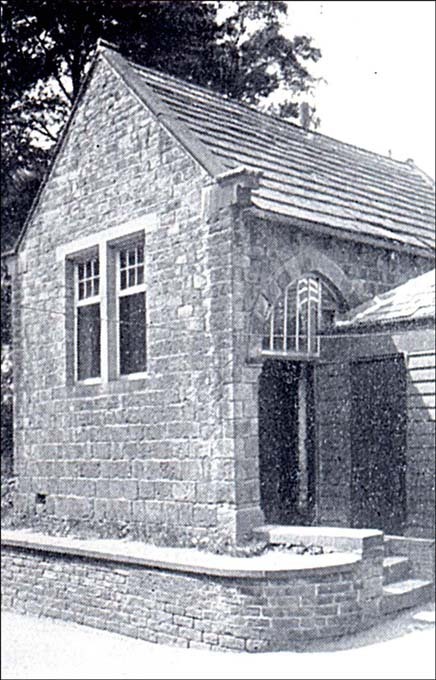 On 12th December 1851, the Headmaster (Rev Alfred Easther), the Vicar of Almondbury (Rev L Jones) and four others met up at the School to set up 'The Chemical Society of King James's Free School in Almondbury'. One of them was John Nowell, a school governor who had formed friendships with such leading figures of the day as Michael Faraday, Humphrey Davy and John Dalton. It was the first such organisation in the district and a few years later, in 1868, it acquired a home when 'The Cloisters' (a former covered playground) became one of the first chemistry classrooms in the country. It had a chequered history over the years: it later became a general classroom; then a gymnasium; and finally an outside cloakroom. The building was demolished in 1938, the year after this photograph was taken, during the course of the major School extensions undertaken at that time.